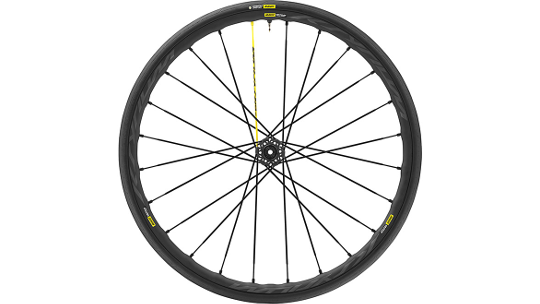 The Ksyrium Pro wheelset was brilliant in its old style rim-brake standard setup. 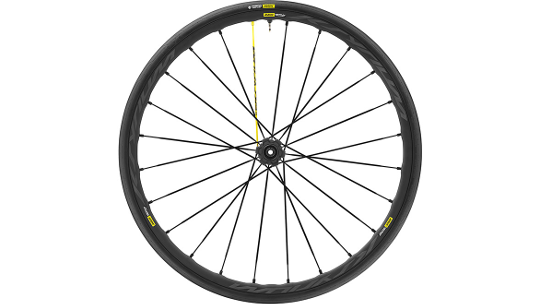 However, Mavic has made a number of changes to enhance the Ksyrium Pro's performance, ensuring this bike is as good at climbing as it is descending and accelerating. The disc brake setup is not only aerodynamically faster but braking is far more efficient than the traditional rim-brake, stopping you quicker whatever the weather. 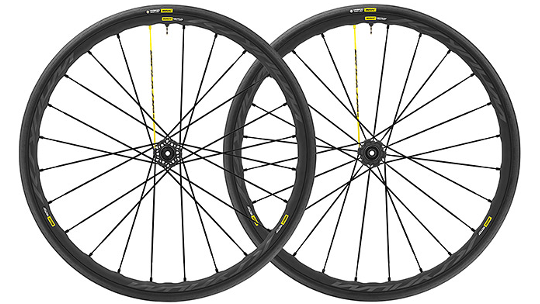 The tubeless setup, that Mavic calls UST, means there's no longer any need for inner tubes. No inner tubes mean no friction, lowering rolling resistance and therefore improving your overall comfort whilst on the road. The UST system also means you can run lower tyre pressures, reducing your risk of punctures, keeping you on the road for longer. With UST Road Tubeless, no tube means no friction. So you experience less rolling resistance and higher speeds for not only a faster ride but a more enjoyable one. UST Road Tubeless lets you ride with lower tyre pressure for a smoother ride, whilst also reducing the risk of punctures, meaning more time spent on the road. 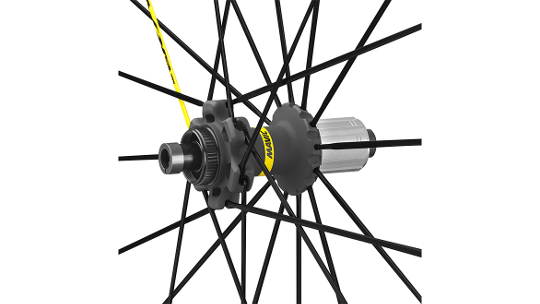 Mavic's patented UST system offers a perfect union between tyre and wheel, so installation, removal and maintenance are easy or we can help you in store! ISM 4D rim machining produces superlight rims that allow you to speed up climbs whether you are riding in a mountain range in Europe or testing England's toughest peaks. Zicral spokes and Instant Drive 360 freewheel system lower the wheelsets overall weight whilst maintaining stiffness, giving you low friction and fast engagement for smooth and speedy acceleration. 24 spokes front and rear optimise brake torque distribution that allows you to descend with confidence. The front hub is convertible from 12mm to 15mm thru-axle to quick release if you prefer that design. The rear hub is also convertible from 12x142 thru-axle to quick release. Finally, the Kyriums Pro's are centre-lock brake compatible as well as XD road with an optional driver body.